Documentary by Dmitry Trakovsky & Paloma Veinstein - 52 min. - France-USA - Brodcasters : 3Sat (ZDF) 2017, FRANCE 5 2018 - "When the world changes, the weather will change, along with the people". In Alaska, this ancient prophecy passed on generations inside the Yupik community in now becoming a reality...* We Love Green Festival, Paris 2017 * Atmosphère Film Festival, Paris 2017 * Rabat International Film Festival (Morocco) 2017 * Voices of Water Film Festival, India 2018 - Distribution : Beliane (France). 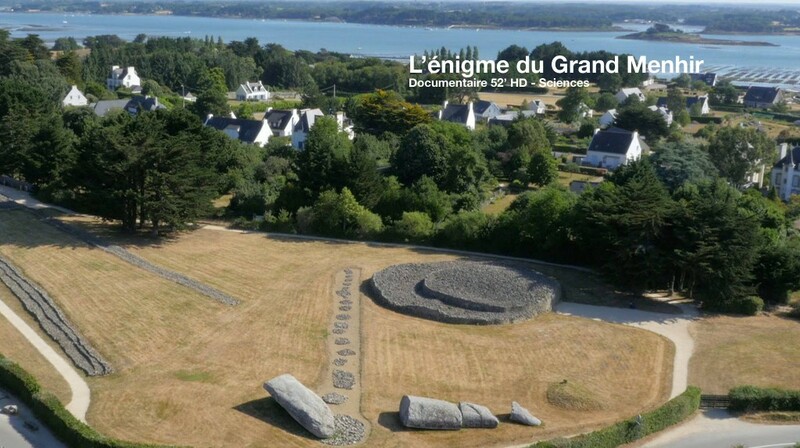 Documentary - Science & Knowledge - 52 minutes - dedicated to the recent discoveries about the giant Prehistoric standing stones of Carnac area (France), deciphered the French archaeologist Serge Cassen (CNRS-Nantes University). Thanks to 3D reconstitutions of megalithic monuments and a magnificent photography, the film reveals, step by step, the grammar of those signs and proposes a new interpretation of those early Atlantic and North-Western Europe societies leaving by the sea. AWARDS ***** : 3 Great Jury Prizes in Films Festivals of archaeology of Nyon (Switzerland), Narbonne (France), Kiel (Germany) / Best image, Archaios Film Festival (USA) * Best archaeological film, Athens (Greece) 2017. At the very heart of the Brazilian Atlantic Rainforest, the acclaimed composer and guitarist Roberto Menescal, master of the musical movement called Bossa Nova, goes back to the roots of Brazilian music. Meeting biologists and hunters of natural sounds, we discover with him the rythm and language of the beautiful Mata Atlantica, a major source of life and a treasure to Mankind... With the support of Procirep-Angoa & Touscoprod, our leading project to the Sunny Side Of The Doc 2016 - International Film Market of La Rochelle from June 20th to 23rd.